It’s Easier than you think! | STEP-Carefully! for Stepparents! Stepparenting is much easier than you’re making it! Over the years, working with over a thousand stepfamilies, I’ve heard it all. 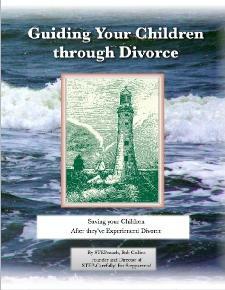 From mean stepkid stories to ex-spouse horrors to marriage messes. But one thing that’s common in most stepfamilies is that the stepparents are frustrated and worn down by the difficulty of it all. Most stepparents had really good intentions going in. They were going to love their new partner and his or her kids with all their hearts and win them over. Maybe even straighten out a few bad behaviors and make them a perfect family. It all seemed so easy and clear cut. Just apply love and enjoy the rewards! But then the unexpected happened – perhaps your new spouse seemed to give their child preference over yours. Or they didn’t follow your suggestions on how to better discipline their kids. Or, conversely, they started telling you how to raise your own kids. Or their kids ignored you … or they ignored your kids … or their kids ignored your kids. Something got in the way of your perfect picture and the colors began running together, just making a mess. But, as I’ve told so many in our private sessions or our group meetings, “You’re making a simple blessing into a hard, uncomfortable job.” Stepparenting, when done right, is a very simple prospect. So, why do most – the vast majority in fact – of stepfamilies end in another divorce? And there’s a pretty simple answer … pride. Instead of moving into an ongoing family with the sincere intention of being an uplifting blessing to the family, so many of us go in looking for what they can do for us. And that’s a certain recipe for failure! Jesus stated the formula for success pretty simply: “Do to others what/how/like you wish they’d do you.” It ain’t brain surgery, folks! But it is heart surgery. When I can help a couple get their minds twisted back around to where they were at their wedding ceremony: “I am so blessed to become part of this wonderful family,” They can begin re-building the hope. But far too many of you are hanging onto your “why are they so mean to me?” mind set. How many? Well, the divorce rate for second marriages is two out of every three; and the divorce rate for third marriages is around NINE out of TEN! That’s how many. Look, like I said, it ain’t brain science or rocket surgery! Back off and let a parent do the parenting. Don’t stick your advice where it isn’t directly asked for. Parent your own kids and leave the others’ discipline to their own parent. If your toes get stepped on, go to the bathroom and put on a band aid. Act like you did to attract your spouse while you were dating. Be a friend / confidant / helper to your stepkids and that’s all. Focus on being a perfect spouse to your spouse – that’s the only job you signed on for! I know, it’s a lot more complicated than just saying “be perfect.” I’ve faced my own multitudes of attacks, hateful glares, rude mouthings, and more as a stepdad. But as soon as I learned (and began applying) the principle that this is an easy job, it got much easier! If you don’t understand, don’t get discouraged. This is advanced stepparenting stuff. Like how in college algebra they taught you all the hard formulas at first and then showed you the short cuts in advanced algebra. Well, here’s the short cut: it’s a lot easier than you’re making it! Still confused? Write me. I’ll explain in more detail. Meanwhile, relax. It can be fun. Really. Previous PostSTEPparenting LETTER: Invisible to the Ex? ?Next PostWhat Are Your Rights? I really needed to read those 9 rules today. I'm on the ledge and about to jump! Figuratively speaking. Thank you for all you do. I think that your 9 Rules are awesome… way to go. Words of wisdom – now, if was only as easy to do on a day to day basis. 🙂 Thank you.